Over the past week, sterling has firmed to levels not seen since May 2017, which has ultimately pushed both domestic and physical grain markets lower. Old crop wheat futures have now retreated to their lowest level since May last year. Following an exceptionally frustrating week of Brexit negotiations (nonsense), the UK wheat market suffered an extremely volatile week. With the value of the pound fluctuating anywhere from 1.15 – 1.18 against the value of the Euro, pinpointing reasonable values for both old and new crop grain has been difficult to say the least. Last week, on the 13th March, MP’s voted again the prospect of the EU without a deal, but this is not legally binding. One day later they voted for Mrs May to ask the EU for a delay to Brexit, which could mean, depending on what the EU responds with, that the UK might not leave the EU on the 29th March as initially planned. Although the London LIFFE wheat futures screen reads higher this week, do not be fooled as the physical values do not reflect this! Feed wheat for spot collection is valued in the region of £162.00/T ex-farm, whilst April collection is trading at £163.00/T ex-farm. On this basis, £170.00/T ex-farm is currently unattainable pre-harvest. There are currently some selective opportunities for milling wheat this morning, particularly full specification group 1 varieties, offering a £20.00/T+ premium. 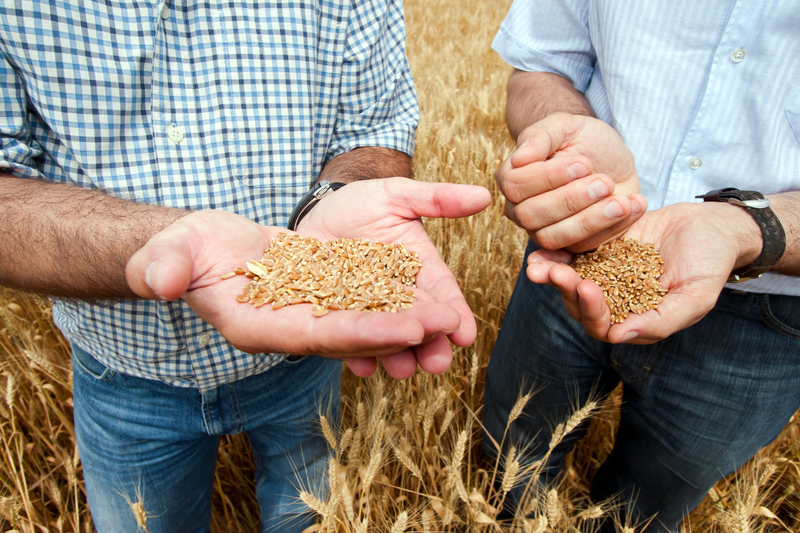 Other opportunities for lower specification group 1 and 2 varieties are limited, as are any soft wheat enquiries – any premiums offered at this stage should therefore be considered carefully. As for new crop, £142.00/T ex-farm currently looks like a realistic offer for September collection, with November collection valued at £144.00/T – £145.00/T ex-farm. £150.00/T ex-farm for late summer collection next year was trading on Friday, but we are struggling to see any interest at this level this morning. According to the AHDB, EU exports of soft wheat are on track to reach the EU commission’s forecast. They added that “with EU prices pushing lower over the course of the past month and the EU competitive in export tenders, exports from the EU have accelerated”. However, if the current pace of soft wheat exports continues, then the EU would exceed its present target of 18 million tonnes. Furthermore, if French prices continue to be competitive and continue to secure tenders, we could see a firming of EU prices. The knock-on effect this will have on the UK wheat market could be limited though, depending on the strength of the pound. “The pace of US exports is also important to EU prices as the US still has a large volume of wheat to move”. Keeping a close eye on the comparative value of both US and Russian wheat will therefore be important moving forward. The latest HMRC figures have confirmed that January recorded the highest ever monthly UK maize imports. 389,000 tonnes of maize corn was imported in January, a 67,000 tonne increase on the previous monthly record in June 2017. Total maize imports for the season so far (July 2018 – Jan 2019) are 1.681 million tonnes, a staggering 489,000 higher than at this stage in the season last year. With total maize imports forecast at 2.34 million tonnes for the entire season, the current pace of maize exports would have to drop significantly for the remainder of the season or this figure will need to be adjusted accordingly. “With an increased volume of maize entering the UK, forecast animal feed usage for barley could reduce even further. Additionally, looking at the sporadic import destinations of Southampton, Bristol, Liverpool and Middlesborough, a wide range of UK feed compounders will continue to feed manufacture commitments. OSR values have shown little sign of improvement over the past week. The US has failed to shift large enough volumes of soybeans this season due to trade tensions with China and this, coupled with the expectation that US farmers intend to plant large quantities of soybeans this spring, is weighing heavily on the global oilseeds market. There seems to be a trade opinion throughout the UK that there is less OSR in the ground both here and on the continent for harvest 2019. Whilst this may be true, there is a good chance of plentiful US soybean imports arriving into the EU next season. Even if the trading relationship between the US and China significantly improves, their appetite for soymeal has reduced over recent years as they have explored various diversifications of other protein meals. Also, it is important to remember that US soybean oil is now eligible to be manufactured into biodiesel within the EU. Regardless, all of the above will depend on how well the US soybean crop actually enters the ground. Soil moisture currently looks good, but this could change moving forward.